It was quite a treat to see the Space Shuttle Discovery riding horseback on a massive NASA jet over my condo this morning. 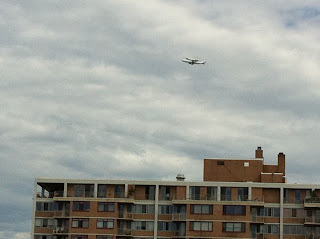 Despite knowing the shuttle was scheduled to pass through DC air space between 10 and 11, I was still diddling around when I heard my neighbors start to yell in excitement from our green roof. I stepped out on my balcony and heard a sonic, unusual boom headed our way. And then ... I was standing directly under the jet and shuttle. It was literally right above me and very close to the ground. I ran to the roof and called Rachel to tell her it was headed to Ballston, where she works in Virginia. She excitedly said it was right out their 8th-floor window. 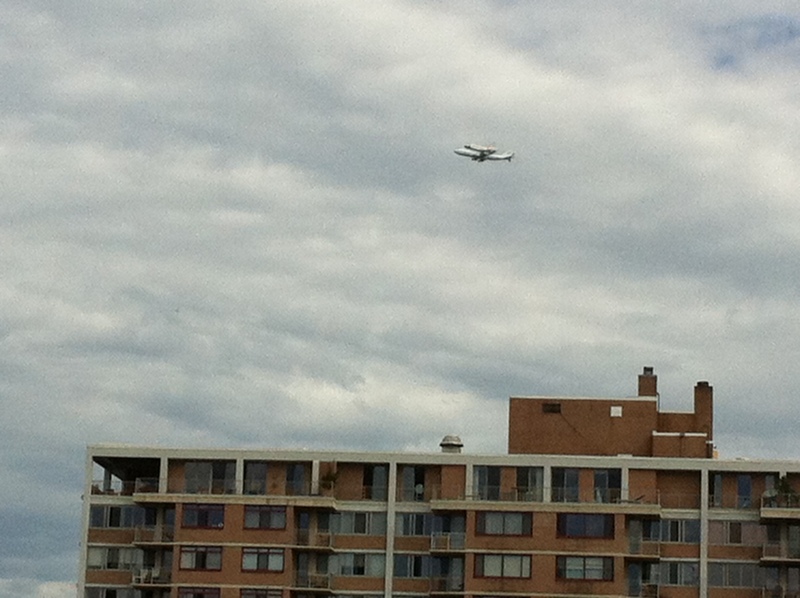 What a nice treat from NASA to allow all of the DC metro region to get a look at the shuttle before it rests west of the city at the Smithsonian Air and Space Museum by Dulles Airport. The Tree of Life: Sappy or "Important?"